Enjoy the Peconic Landing lifestyle in our quintessential two-bedroom apartment. 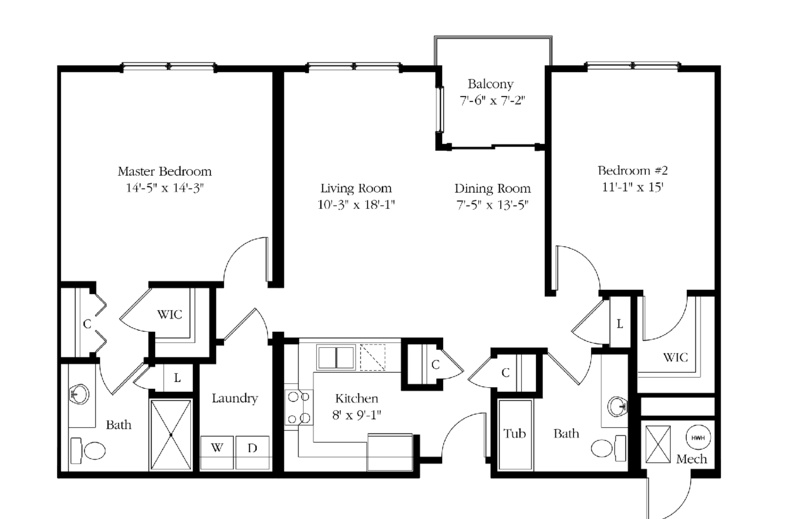 The 1,218 square-foot Sylvester is designed with a grand living and dining space, two full baths and large closets. Our signature master suite makes it a smart choice, with a select number of homes offering seasonal water views. Paired with housekeeping and home maintenance, chart your course to The Sylvester.